Concerts are full of people moshing and jumping up and down as their bands play their favorite jams. It's not uncommon to see people dancing around as they lose themselves in the moment and let the music take over. 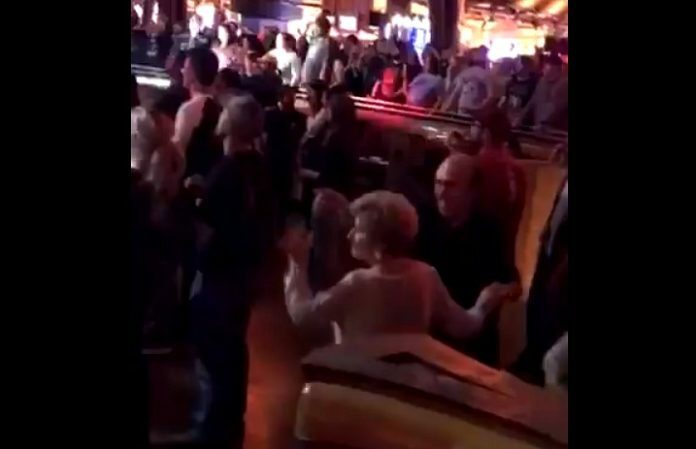 What is uncommon though is seeing an elderly couple dancing together at a Motionless In White show. If this isn't relationship goals, we don't know what is. Motionless In White are currently on their U.S. run of the Graveyard Shift Tour and recently hit up Uncasville, CT where they played at Mohegan Sun. While most people tend to be a little hesitant and wary on Friday the 13th, this elderly couple didn't seem to have a care in the world as they danced together during MIW's set. Twitter quickly dubbed the couple the ultimate relationship goals and set the bar pretty high for future concert-going couples. Do you think this metal couple are the ultimate relationship goals? Let us know in the comments below.